Seeing Bugsy Malone not long after having re-visited The Untouchables (Brian de Palma’s Al Capone gangster movie) and the West End’s revival of Guys and Dolls makes one realise just how classy Sean Holmes’ production of this spoof gangland caper really is. Forty years ago visionary British film director Alan Parker took the adult mobster world of hoodlums, molls and tommy-guns and scaled it down to kids at soda fountains shooting custard pies at each other and all sungalong to an infectiously cheerful score. It was to be another twenty years or so before the movie made it on to the stage in a book adapted by Parker himself. Failthful to the film, the plot is so corny as to defy too much explanation, but it really doesn't matter. Set in a 1930s Chicago type city, rival gang bosses Fat Sam and Dandy Dan fight it out for a consignment of dastardly splurge guns. Amidst a cast of talented kids (with an adult ensemble in support who look even younger!) 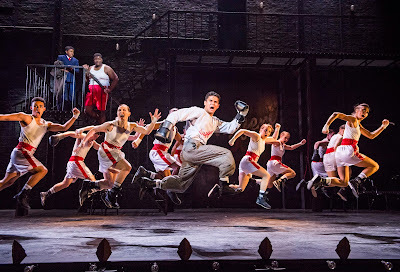 and scenes that almost incongruously leap from nightclub to a boxing ring Bugsy Malone, offers two hours of finely crafted froth. The cast on the night (there are three teams of child actors for the run) ranged between very good and sensational. 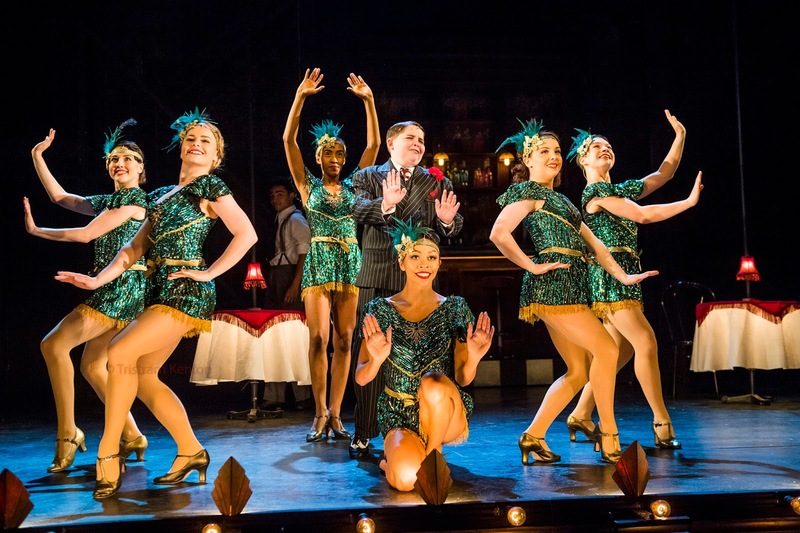 Vincent Finch puts in a fine turn carrying much of the narrative as club owner Fat Sam, whilst in the title role Mark Charles has all the potential of a future Sky Masterson, as Oliver Emery captures the bad-guy nastiness of Dandy Dan. It is the show’s leading ladies (or rather, girls) however, that are out of this world. 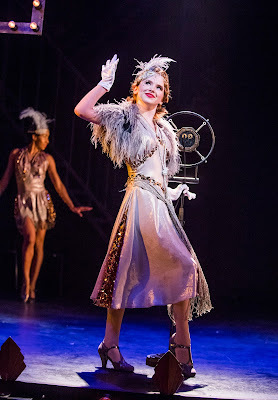 Olivia Shaye Masterson’s Tallulah brings a confidence and poise that completely belies her age, giving a stunning take on My Name Is Tallulah. 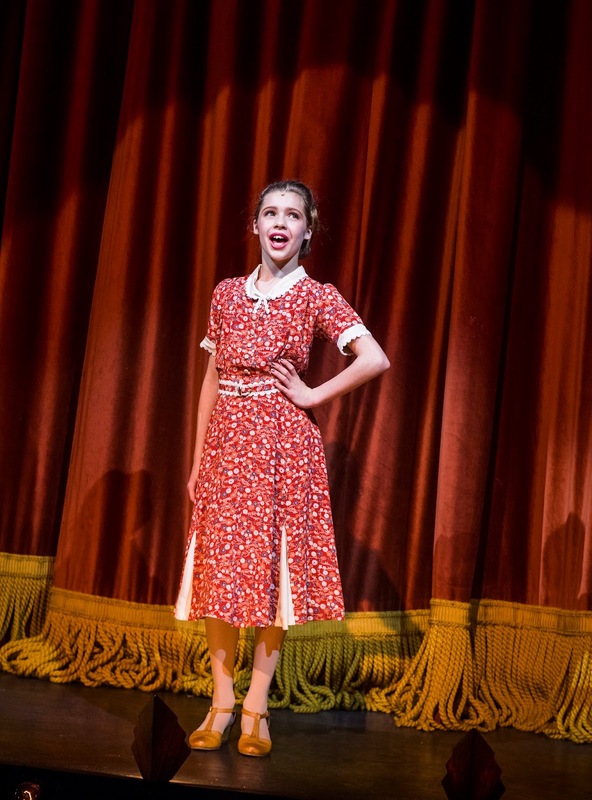 She is only matched by Georgia Pemberton’s Blousey Brown whose two big numbers I’m Feeling Fine and Ordinary Fool offer clear evidence of this young performer’s remarkable and accomplished pedigree. A mention too for Leah Levman’s Lena/Babyface, a pint-sized performance packing a punch that oozes cheeky chutzpah! Holmes has assembled a classy team of creatives to support him and Drew McOnie’s choreogoraphy, for the most part performed by the adult ensemble is imaginative and exciting. The hoodlum’s routine in Bad Guys is a blast, whilst the boxing/dancing arrangement (and a shout out here for fight arranger Kate Waters and her captain Lucy Thomas) in So You Wanna Be A Boxer is poetry in motion. McOnie’s penultimate number, as hoodlums reprise Fat Slam’s Grand Slam all toting splurge guns, carries more than a hint of Bob Fosse. Also top notch is Jon Bausor’s design work – the costumes in particular make the girls look fabulous, and it is rare to see so many perfectly scaled down double-breasted suits. The music is wonderfully arranged and Phil Bateman has done a wonderful job with Paul William’s score. In a world right now that is at best troubled, to leave a theatre humming You Give A Little Love (and it all comes back to you) is priceless. First seen here at the Lyric last year, Bugsy Malone went on to garner a well-earned Olivier nomination and now it's back for the summer. Take the kids, hell, take anyone, it's fabulous musical theatre!